Founded in 1957, Al Rajhi Bank is one of the largest Islamic banks in the world with total assets of SR 267 billion (US$ 71.2 bn), a paid up capital of US$4 billion and an employee base of over 8,400 associates. Deeply rooted in Islamic banking principles, the Sharia compliant banking group is instrumental in bridging the gap between modern financial demands and intrinsic values, whilst spearheading numerous industry standards and development. 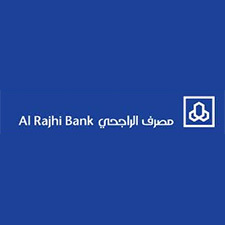 With an established base in Riyadh, Saudi Arabia, Al Rajhi Bank has a vast network of over 500 branches, over 100 dedicated ladies branches, more than 3,600 ATM's, 28,000 POS terminals installed with merchants and the largest customer base of any bank in the Kingdom, in addition to 130 remittance centers across the kingdom.